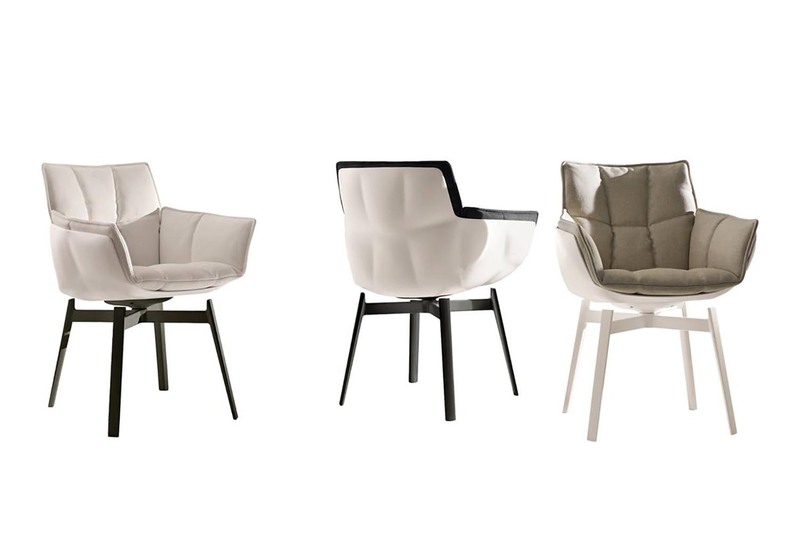 Husk Outdoor was designed by Patricia Urquiola for B & B Italia. This outdoor version of the Husk Chair presented at the last Milan Design Week bares a strong resemblance to the one used for interior spaces: “Like the indoor version, Husk Outdoor is made of recycled and recyclable materials, highlighting B&B Italia’s keen awareness of topics such as ecology and environmental sustainability.” Each component was carefully designed not only to offer the best version of an outdoor furniture item, but also to facilitate recycling by easily separating its components, reducing the environmental impact. The hard shell made of Hirek – a non-toxic, resistant multi-layered composite technopolymer with differentiated density – and soft, vividly coloured cushions offer an inviting design and a comfortable seating experience.